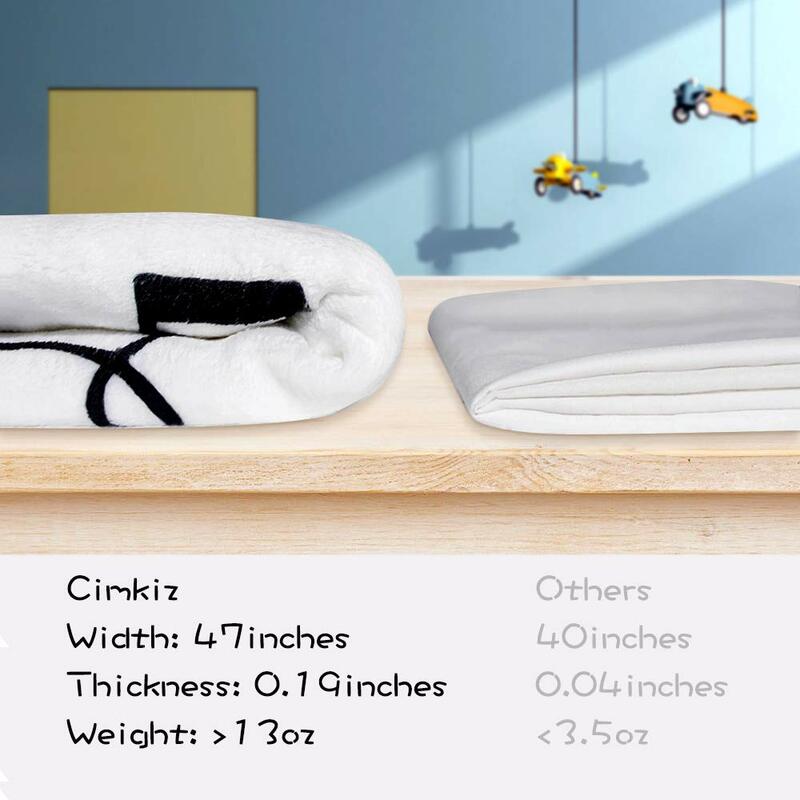 【UPGRADED and MULTIFUNCTIONAL】Unlike other cheap muslin or cotton blanket, our unique milestone blanket is made from thick fluffy fleece, soft touch feeling. 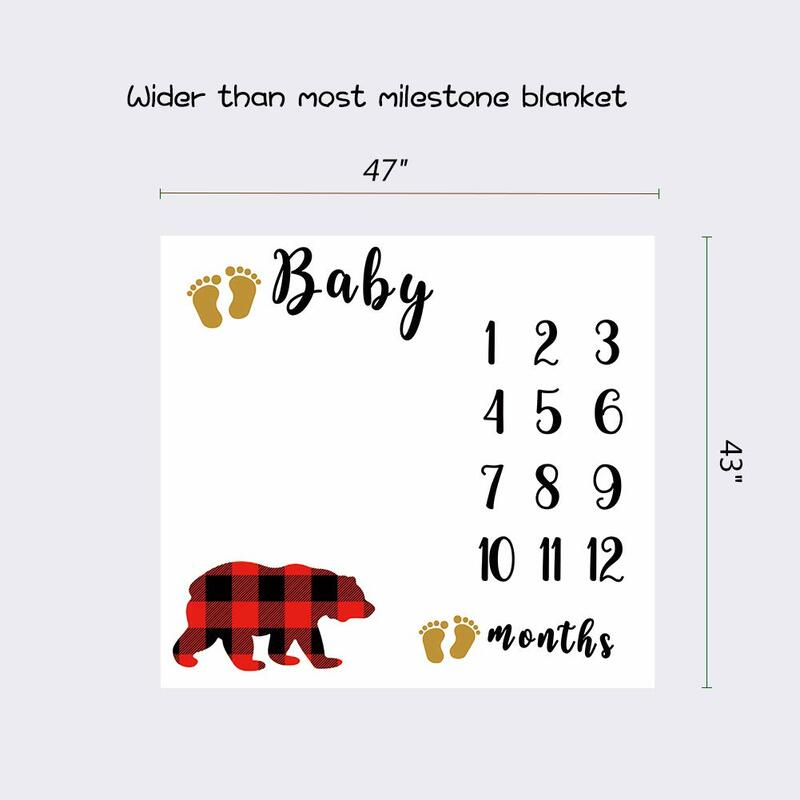 Wider than any other milestone blankets, it could be also used as a nursing swaddle blanket/ baby shower gift/ stroller cover and baby daily playmat. 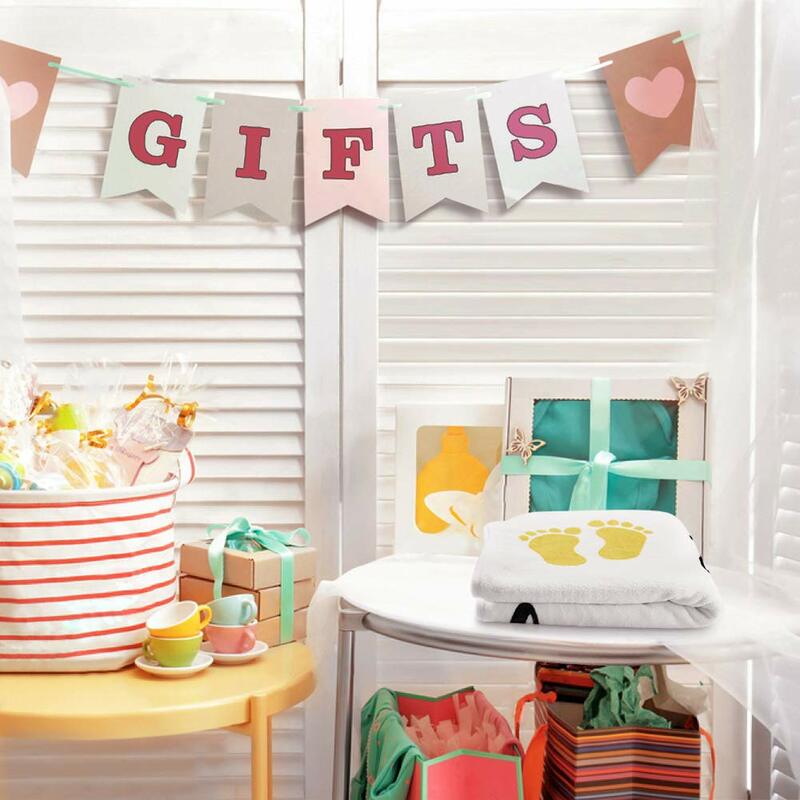 【IMPRESSIVE BABY SHOWER GIFTS】It could be the most attractive gift. 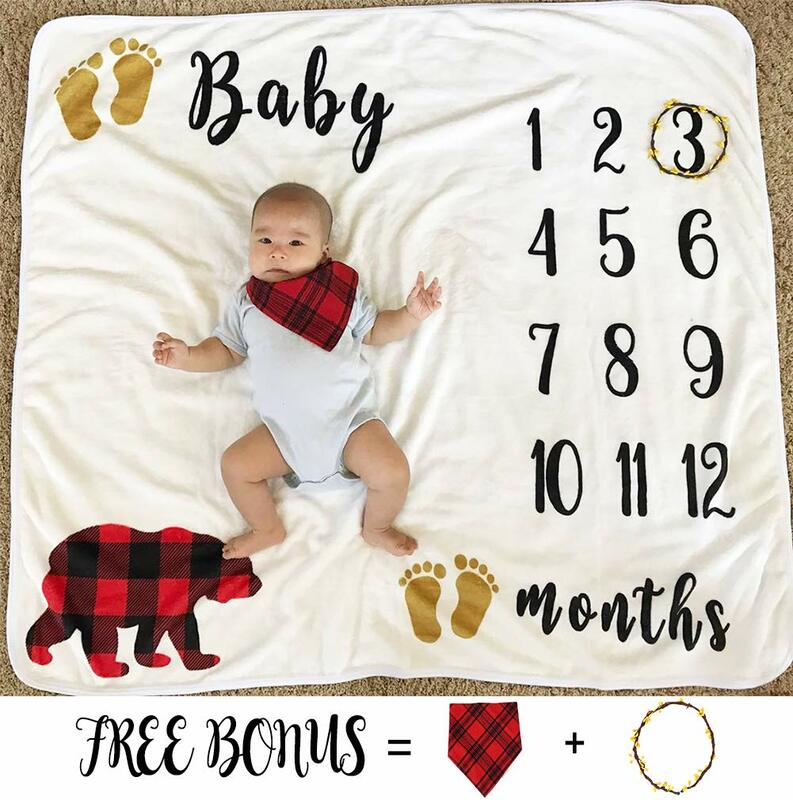 Just think for a while, you take out the milestone blanket, spread it out, mama bear, footprint, the fresh pattern catch everone’s eyes. 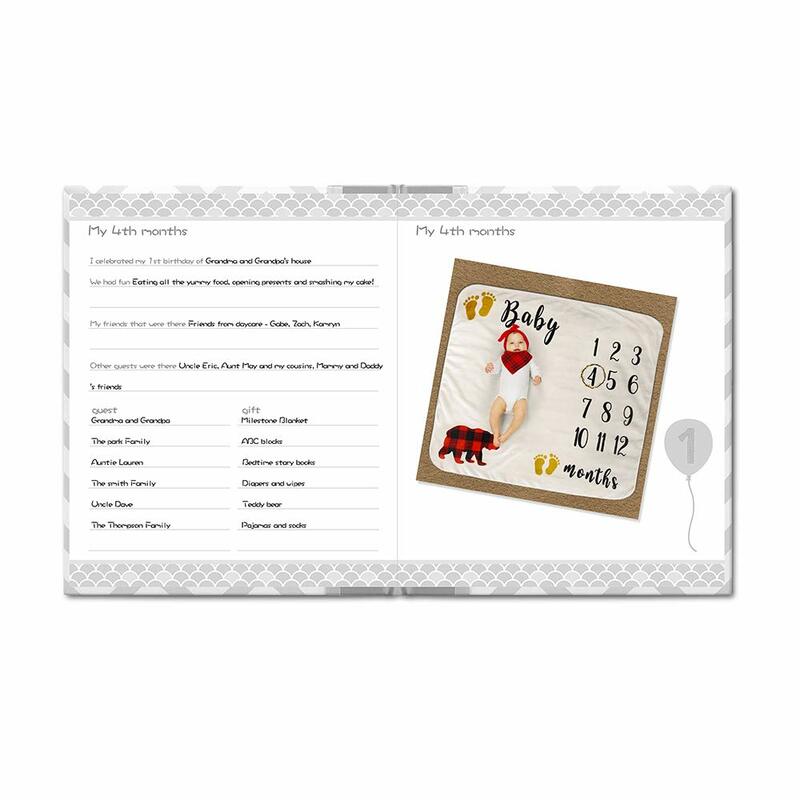 And you, will let all the guests know you are the most concerned about the newborn. 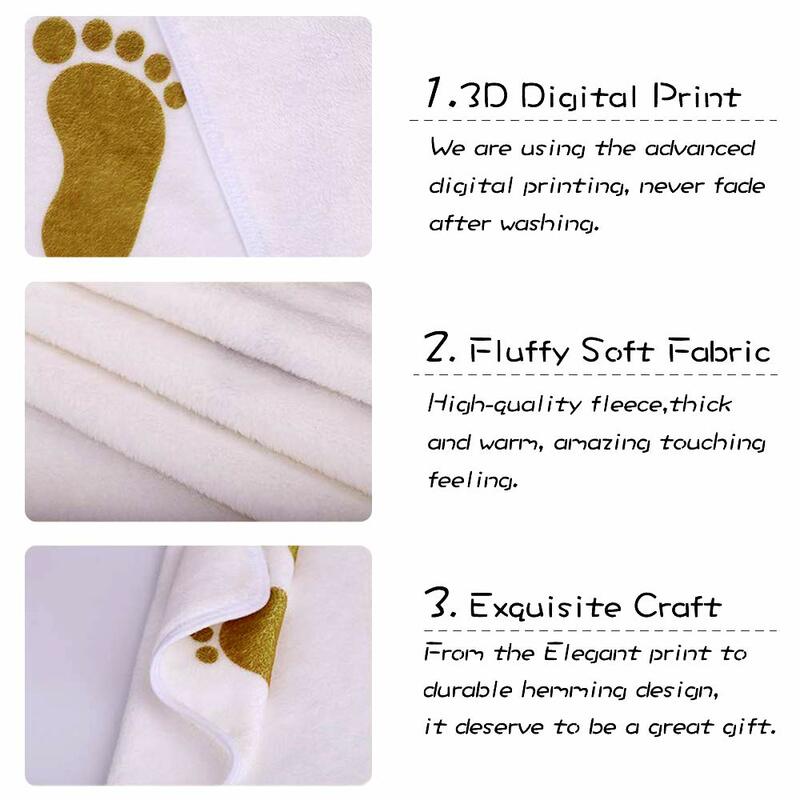 【PREMIUM FLEECE, EASY TO CLEAN】Made of high-quality flannel, NO allergy, BPA free and safe for baby. Never get fade after washing (Support Machine wash, Handwash-recommended), Dry fast（Iron under low temperature）. Social Media Posts – Pinterest, Instagram, Facebook, Twitter, Snapchat. Hand or Machine wash in cold water, please don’t mix with other clothes of dark color. Ironing under 122-140℉, not over 248℉. NO BLEACH. NOTE: We recommended to have a wash before using. We are going to publish more style, welcome to tell your own voice, we are so glad to collect more and more suggestions from our customers. NOTE: THE MAIN IMAGE WAS COLLECTED AND APPROVED BY REAL CUSTOMER. GUARANTEE: REFUND without condition or FREE REPLACEMENT within 7 days. If there are any questions, please contact us at any time with emails, I am always here to serve you! WARNING Choking Hazard: Wreath contains small parts. 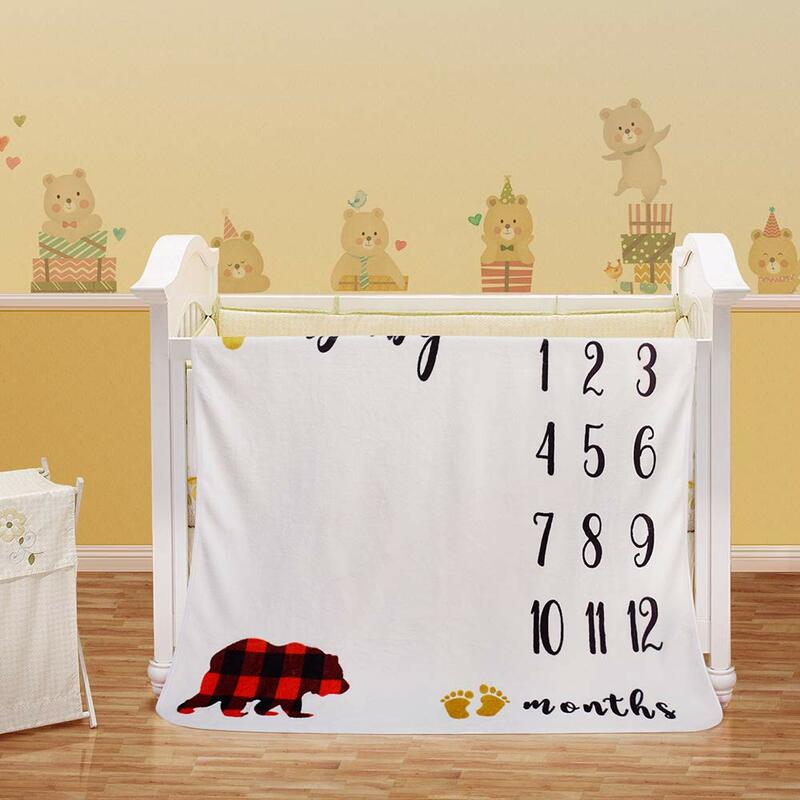 【CUSTOMIZED FOR ANY OCCASION】You can add your own photo props, such as toys, Festival decoration (Christmas ornaments), flowers and coordinated baby outfits. Then you own different pictures for 12 months. 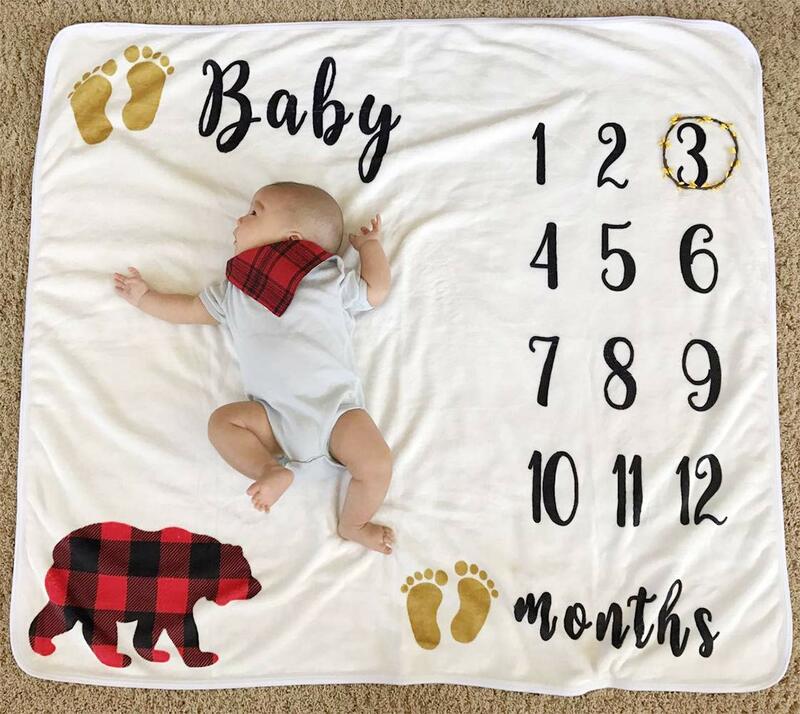 In addition, the name of baby could not be printed on the blanket, but you may put the name on the pictures, that does the same effect. 【GUARANTEE AND AFTER SALE】Free return for refund and replacement if you are not satisfied with our products. If there are any questions, please feel free to contact us at: Cimkiz@yahoo.com, we are always here to serve you. Also, welcome to share with your opinions, we may take your advice to the next design.